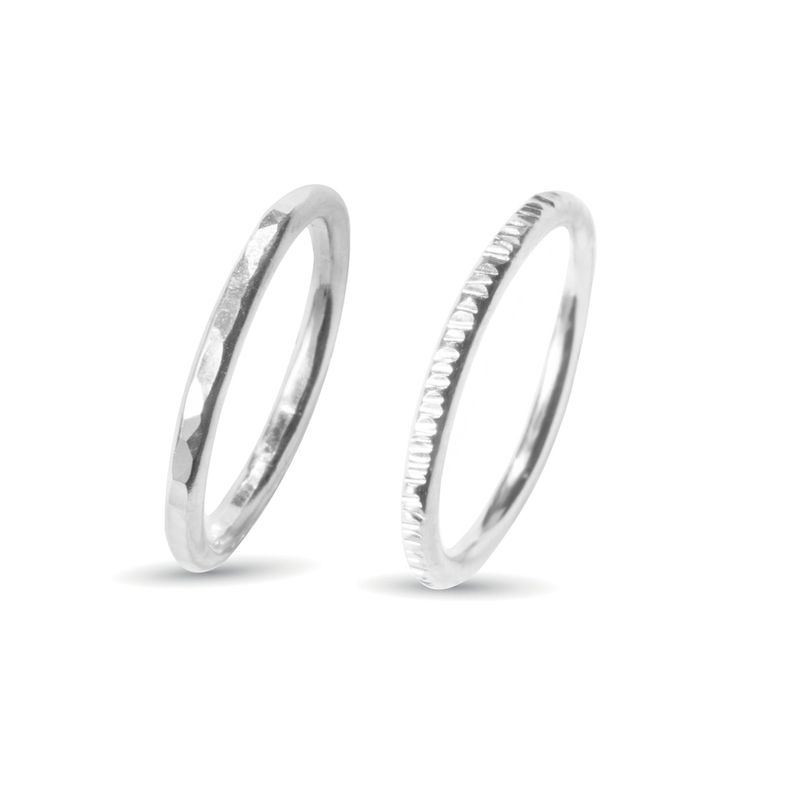 These lovely rings are great on their own or stacked with others! 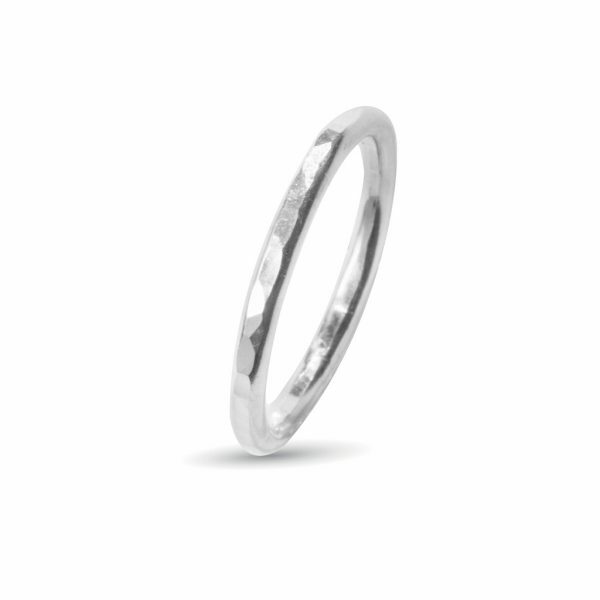 There are also two finishes to choose from,one being the ‘diamond’ which has been created by hammering small lines into the rings surface. 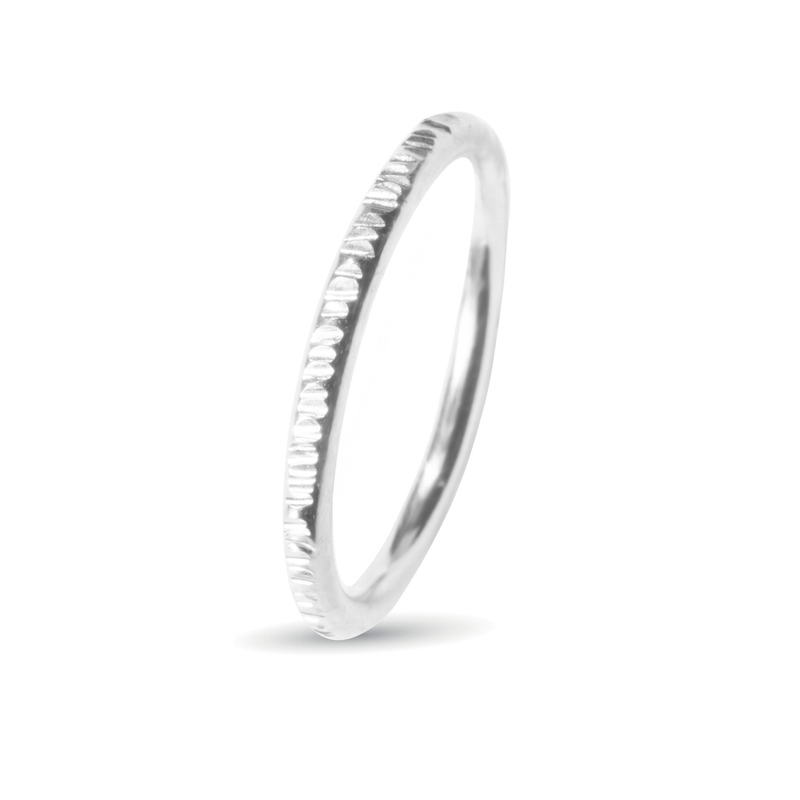 This catches the light as if there were tiny diamonds in the ring! 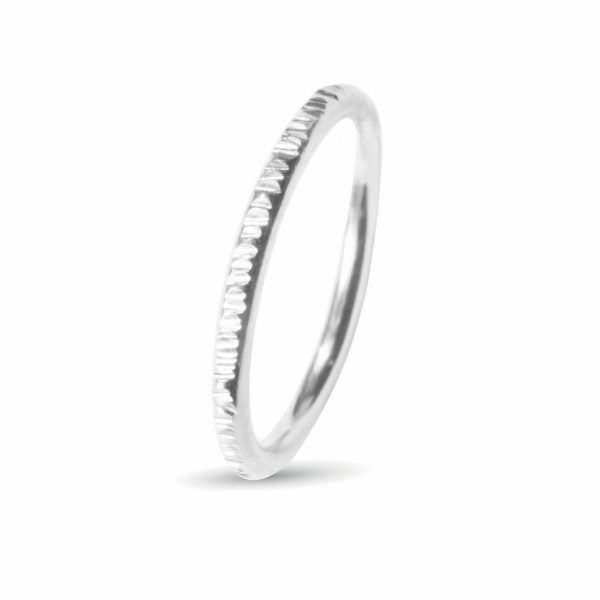 The other is a simple hammered which is gorgeous is a more subtle way. They are both lovely when worn together as they bring out the best in each other. Handmade here on the Isle of Raasay. Please leave your ring size in the little note section during checkout.